You'll be £4.99 closer to your next £10.00 credit when you purchase Carve Her Name With Pride. What's this? 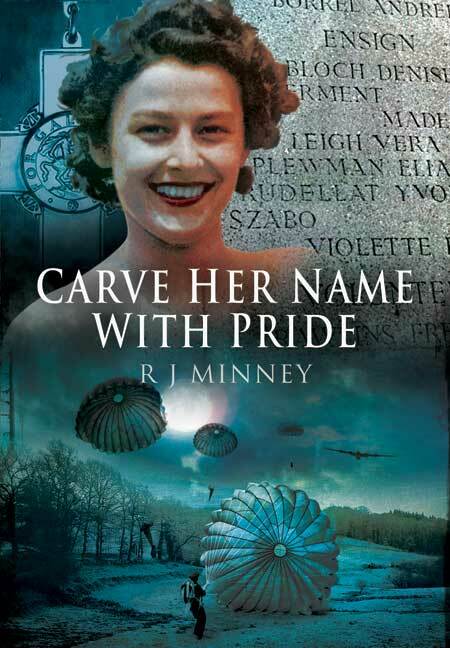 Carve Her Name With Pride is the inspiring story of the half-French Violette Szabo who was born in Paris Iin 1921 to an English motor-car dealer, and a French Mother. She met and married Etienne Szabo, a Captain in the French Foreign Legion in 1940. Shortly after the birth of her daughter, Tania, her husband died at El Alamein. She became a FANY (First Aid Nursing Yeomanry) and was recruited into the SOE and underwent secret agent training. Her first trip to France was completed successfully even though she was arrested and then released by the French Police. On June 7th, 1944, Szabo was parachuted into Limoges. Her task was to co-ordinate the work of the French Resistance in the area in the first days after D-Day. She was captured by the SS 'Das Reich' Panzer Division and handed over to the Gestapo in Paris for interrogation. From Paris, Violette Szabo was sent to Ravensbruck concentration camp where she was executed in January 1945. She was only 23 and for her courage was posthumously awarded The George Cross and the Croix de Guerre. This is one of the classic works of Second World War Biography, looking at the short Lives of Violette Szabo. The later sections, on Violette's time in SOE, I prefer to more modern books on the topic. This is a classic tale of bravery. Still highly recommended more than fifty years after it was first written.